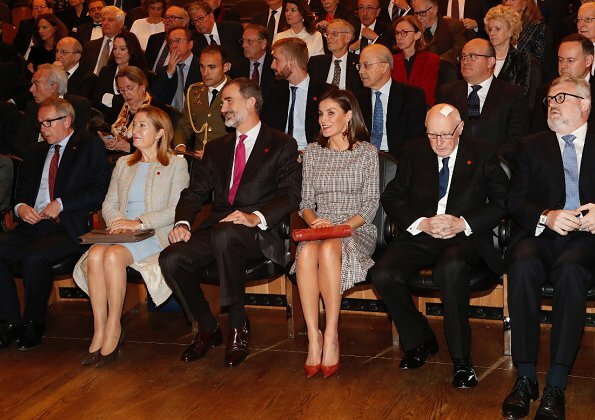 Very nice dress fitting queen Letizia perfectly. Un beau manteau mais une robe laide . Robe tendance, qui peut ne pas vous plaire mais PAS laide. 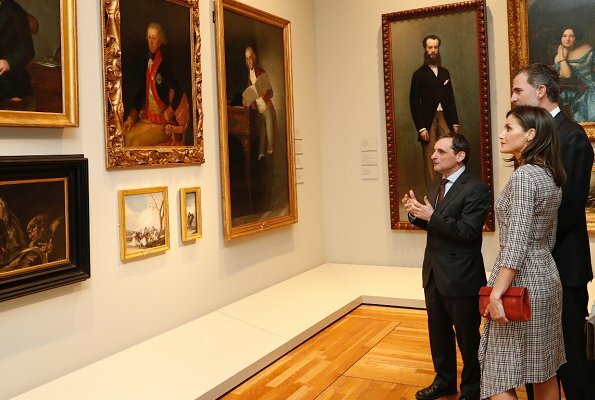 Que linda la reina Letizia ! I agree. I know it´s a design, but it will forever look like a wrapdress-come-undone. parts. Patriotism goes out the window if there is an opportunity to criticize. Shoes and purse are great! Not sure what to think about this dress. The fabric is pretty and fall-like but the open front and ruffle is a bit odd for me. 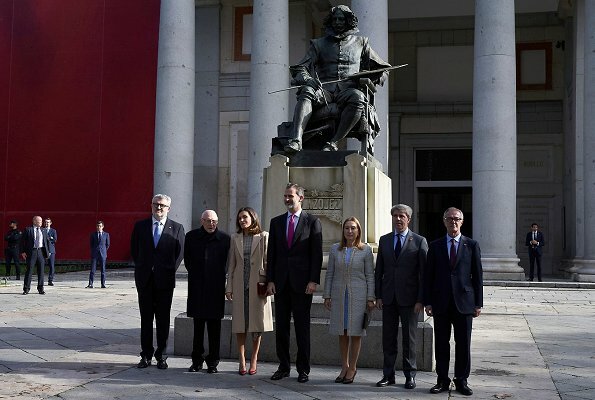 Letizia lleva un abrigo magnífico y el vestido es bonito, original y gracioso. 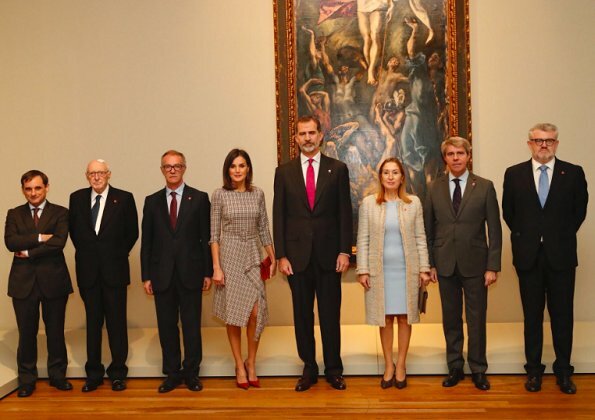 Los zapatos y bolso son repetidos, pero ponen una nota de color muy adecuada. Interesting dress - I quite like it but I'm not sure it totally works with the open coat like that. Letizia looks so very elegant, of course you can never fail with a vanilla/latté coat, you can combine it with almost every color and accessories. The dress is a twist of your classic plaid with a naughty ruffle, and I love it, besides it's low cost, kudos for the queen!!! Fantastic shoes, the hand bag one of many. I like her dress here very much,interesting cut and nice accessories. Like Letizias coat shoes and bag. Not a fan of this dress. I like this look, especially with this shoes and bag. I love her vanilla coat. Very nice dress. I like it a lot and shoes and bag goes well with it. D'accord avec "Anonimo 7'10 "